To understand and appreciate the origins of Pentonville, it is necessary to have some idea of the social, economic and political forces of the day. The 19th century was an age of great change, a period when Great Britain was central on the world stage, and as now, when Europe had a major influence in the political thinking. The first chapter sets out very briefly the social system of England in the 19th century. The 19th century began with the French Revolution and the Napoleonic wars which stretched from 1789-1815. This created a fear of change and possible revolution in Britain, particularly due to the unrest `amongst' the growing urban population. Further revolutions in Europe in 1848 only created renewed consternation by politicians of possible upheaval from the growing population. This fear was in itself a cause of severe repression e.g. in 1830 the starving field labourers of the southern counties rioted in support of their demand for a wage of half a crown a day (8 half crowns to the pound). Three of them were hanged and 420 were deported to Australia, which illustrates the savagery of the laws and the penalties to which working classes were subjected. The savagery was also part of the cause of social reform which was to make progress in the 19th century. This is the age of the Industrial Revolution, of colonisation, of urbanisation, and of rapidly increasing population and of increasing wealth based on free trade, but also of the great divide between the rich and the depressed poor. The move away from agriculture was social, cultural and economic shock to thousands who had depended upon the land and tied accommodation for their very existence. There was a stark contrast between the landed gentry and the growing industrialists, who were certainly wealthy, happy and engrossed in the life of their beautiful country houses, and the poor, who lived in abject poverty and only avoided starvation by a basic poor relief system. This in itself meant employers abused the system and failed to pay workers a living wage, and forced them to depend on parish poor relief. The prevailing political philosophy was that of laissez-faire, or of non-interference - it actually meant in the first half of the century a clamp down on any perceived agitation for social or political change. The most famous example being that of the Toll Puddle martyrs. The political parties were still led by the aristocracy and gentry of England. The country gentry, as squires and Justices of the Peace, were the real governors of the countryside. The Tory party was identified at the beginning of the century with total opposition to any movement of popular radicalism or political reform. It remained the party of the Church of England, of public order and administrative efficiency, of continuity and traditionalism in methods of government. It clung to a hierarchical and aristocratic view of society, best personified by the Victorian doctrine of `the rich man in his castle, the poor man at his gate'. The French Revolution had generated a great fear of the masses rising up. Despite that, in Great Britain change did evolve, howbeit very slowly. In the penal field, at the turn of the century there were some 220 offences for which the death penalty could be imposed. It was not until 1808 that transportation for life was instituted instead of hanging, for pick pocketing. It was many more years before hanging was repealed for such offences as theft of 5 shillings from a shop, highway robbery or damage to Westminster Bridge or impersonating pensioners of Chelsea Hospital. It was 1832 before housebreaking, sheep stealing or forgery were removed from the list. By 1838, no one was hanged except for murder or attempted murder. Just as repressive were the game laws. The cottager caught with his nets at night, in pursuit of game or hare, could be transported for 7 years. Pheasant reserves could be protected by spring guns and mantraps. England in 1815 was on the brink of an era of prosperity and greatness unrivalled in her history. At the same time she was entering a period of remarkable social distress and unrest, of economic crises and political change. Her new wealth and her world supremacy rested on foundations of harsh sweated labour, appalling slum conditions in her new towns, and immense human misery; of cut throat competition and inhuman exploitation. A period typified in the immortal writings of Charles Dickens. But out of all this emerged slowly, and at times grudgingly, the complex apparatus of the modern Social-Service State, with its ideals of full employment, social security and freedom from fear and want. With this trend came a greater involvement of the State in the administrative apparatus, part of which was the formation of a Prison Department. Despite the laissez-faire philosophy, which believed in only piecemeal improvements in social conditions, and the encouragement of charity as the best remedy for social evils; despite the fear of revolution that had led to severe repression of any threat of violence or mass confrontation, change did happen. It has to be remembered at this stage there was not even a police force. Control was maintained by local militia paid for by country gentlemen or Justices of the Peace. It was not until 1829 that Robert Peel's experiment of a police force for the metropolis even took shape. This did not extend to the whole country until the middle of the century. The general machinery for keeping order was then very defective. As the police force concept expanded, the certainty of punishment rather than the savagery of punishment became the ideal of public authorities: a concept that runs through the Criminal Justice philosophy still today. The effect of increasing industrialisation was growing urbanisation but also growing poverty and pauperism. The central government could no longer stand aside, greater intervention in the form of grouping of parishes under a Report of 1834 and the establishment of workhouses came about. Harsh and unprincipled as many of these were, they did provide a system of basic poor relief for everyone. The old chaos had given place to a new pattern of public administration involving important new principles, which could later be extended and adapted. The local Justices of the Peace had lost some of their autonomy. Hot upon the footsteps of the New Poor Law, came the overhaul of local government in the towns. In 1835 the Prisons Act established inspectors of prisons on the model of inspectors of factories. The fact that the appointed inspectors were largely ineffectual was not crucial at this stage. 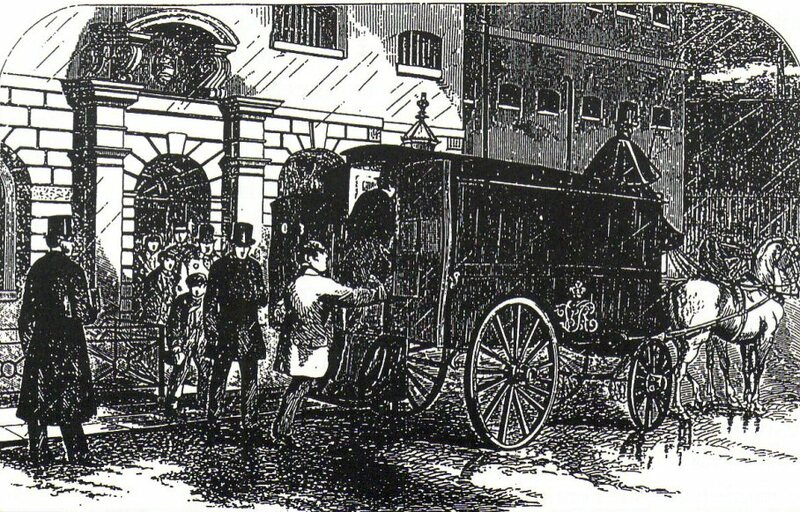 It had laid the seeds of what was to develop into eventual total central government control, but that was yet to come and Pentonville itself was to be a major milestone in that development. Despite the materialism of mid-Victorian thought, there were two other very powerful forces that were every bit as intrinsic as Victorianism. One was religion, which played a very large part in mid-Victorian life; the other was the generous humanitarian impulses which derived partly from evangelical religion and partly from liberalism. They took their religion and their church-going as seriously as their production of greater wealth; though not more seriously. This is to be noted, for as we will come to see, the role played by religion in the daily routine of the early Pentonville was considerable. Later it is to be noted that the three persons specified as mandatory appointments in the staff structure of the Prison were to be: the Governor, the Medical officer and the Chaplain. By 1870, it was clear that if the British State was to fulfil efficiently the many new links it had undertaken it needed a thorough overhaul and re-organisation. In Gladstone's First Ministry (1868-74) the basis of the modern State was well and truly laid. So much was achieved in so short a time only because the ground had already been prepared. The three main branches - the civil service, the military organisation and the judiciary - were all overhauled in a few years. The systems of patronage and influence, rife in all walks of life, but particularly the Army, where it had contributed to the blunders in the Crimean War, were removed and a formal selection process instituted. This degraded the landed gentry, who served as Lords-Lieutenant, of their power to appoint officers in the Militia. Before turning specifically to the Prison Service, it is notable how the development of education paralleled it. Before 1867 there were plenty of schools but no general system. In 1833 the first grant of public money (£20,000) was made for the building of schools. A commission of 1858 recommended the setting up of local Education Boards. It was the Reform Bill of 1867 which gave the real first impetus to the creation of a national system of free and compulsory education. The Education Act of 1820 allowed for compulsory attendance to the age of 13, and fees could be remitted for poor parents. Only in 1918 were school fees abolished in all elementary schools. Finally in setting the scene it is worth a brief outline of the demography of the period. The population of England and Wales increased by some 5 million between 1851 - 1871 to a total of 21 million. Immigrants still arrived in England, mainly from Ireland, but some 3,700,000 left the United Kingdom for America in these years. Agriculture remained the largest industry employing some 1,790,000, next came textiles with 1,650,000 and over a million people were engaged as domestic servants. Some 750,000 were engaged in metal, engineering, and ship building trades, and further 500,000 in mines and quarries. The development of the railways and a large maritime fleet were the other large employers of labour. Modern Britain, industrialised, mechanised and urbanised was coming into being. Already sub urbanism, at least around London, had begun: more than 3,254,000 people lived in the capital, constituting a city of unprecedented size.